Looking to play pool, remain anonymous and buy a beer from a bartender who isn’t snobby but isn’t looking to become your best friend? Head here, where groups of post-college friends relax and split time between glancing up at the game and choosing between Prince and David Allen Coe on the juke. El stop: Brown, Purple (rush hrs) to Wellington. Bus: 8, 22, 77, 151, 156. This is a great neighborhood dive bar to stop by when you want a cheap/chill night. They have free pool, darts and board games to play which is always fun! The food is okay, basically typical bar food. Nothing special. 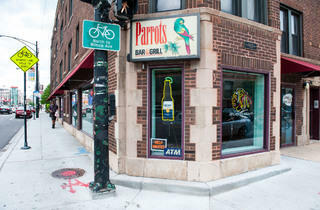 I typically go for the drink specials that they have because they are super cheap for the Lakeview/Wrigley area. Super friendly staff and just a chill place to spend or start the night. 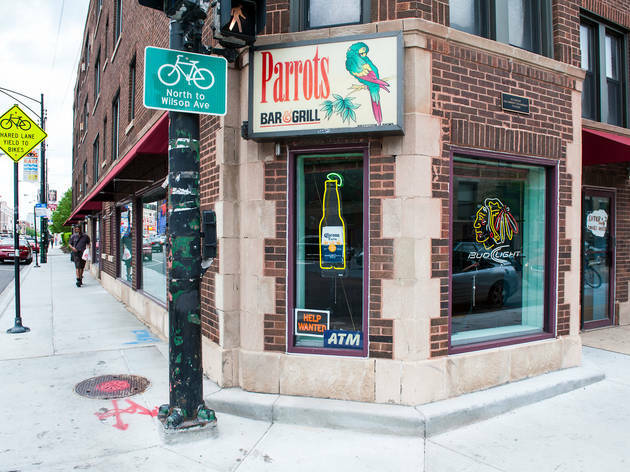 Our goals for the night were clear - eat greasy bar food and drink our fill without spending our whole check - Parrots is the perfect dive spot for both. Unpretentious, not too crowded, and casual - just the low key spot I was looking for!